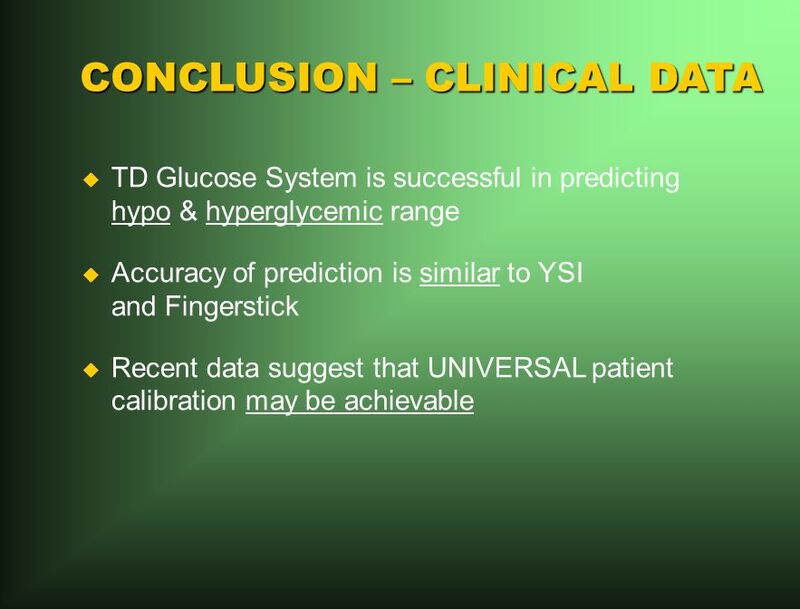 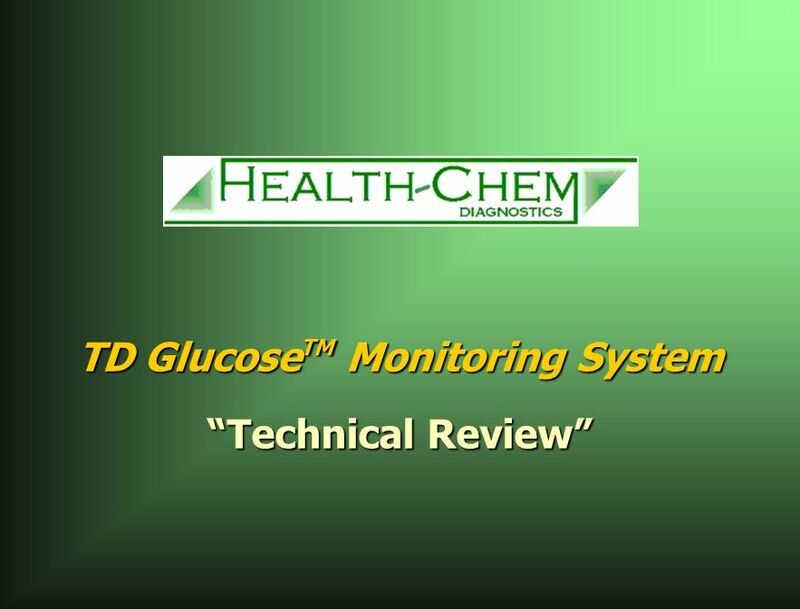 TD Glucose TM Monitoring System Technical Review. 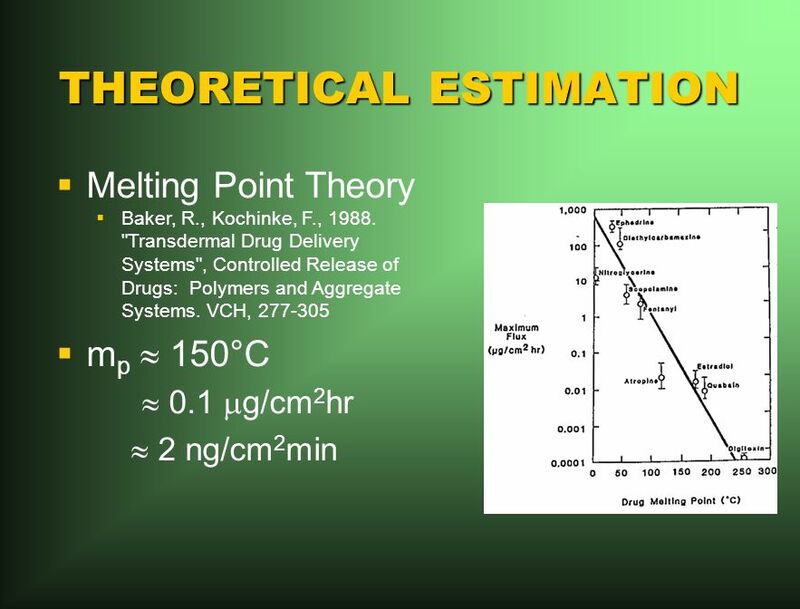 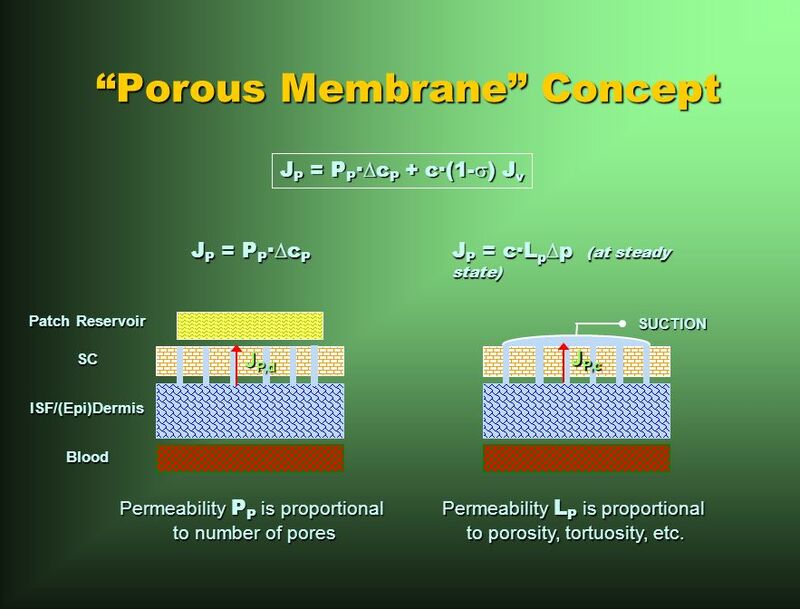 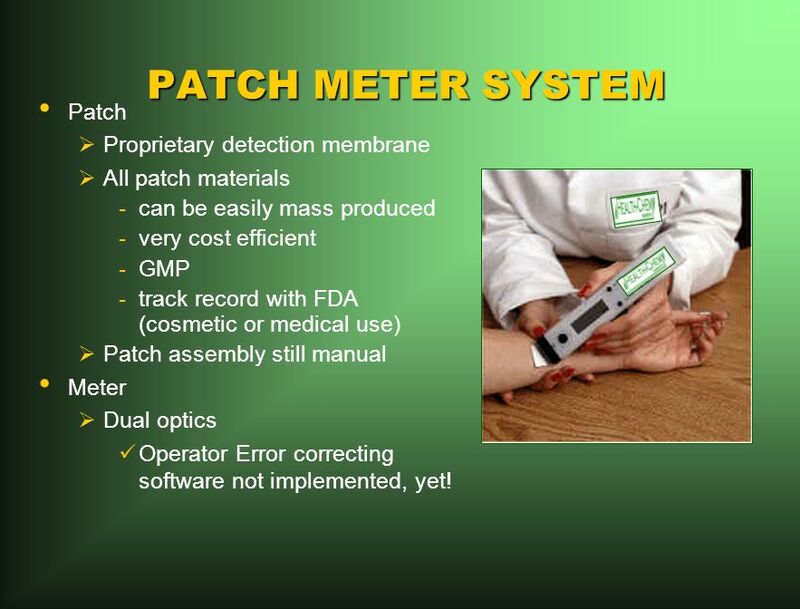 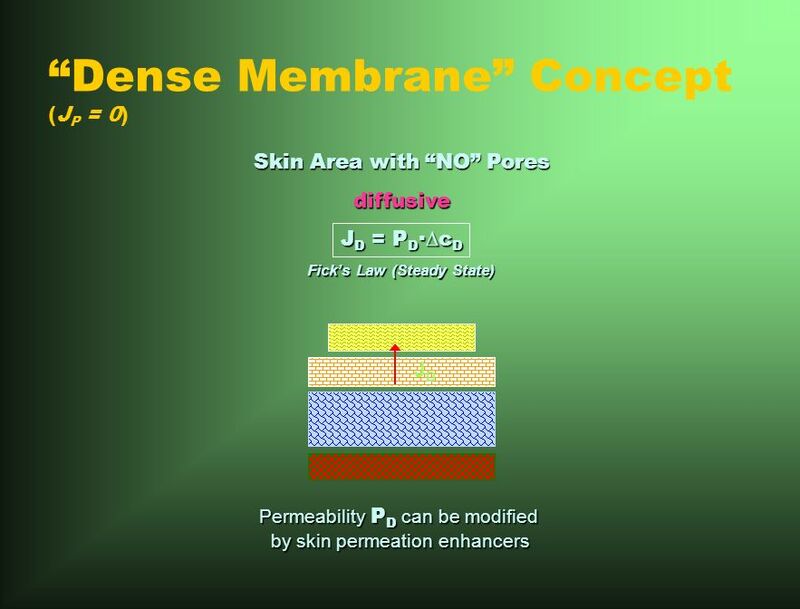 8 PATCH METER SYSTEM Patch Proprietary detection membrane All patch materials -can be easily mass produced -very cost efficient -GMP -track record with FDA (cosmetic or medical use) Patch assembly still manual Meter Dual optics Operator Error correcting software not implemented, yet! 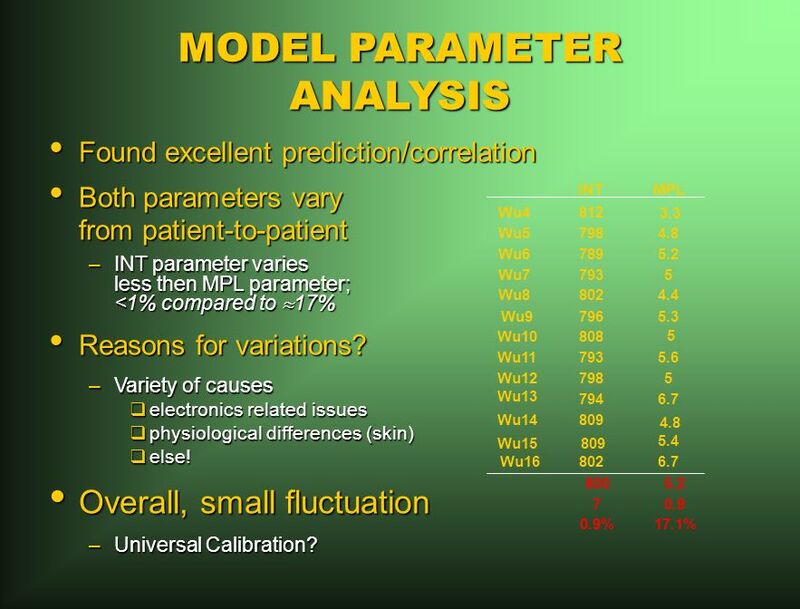 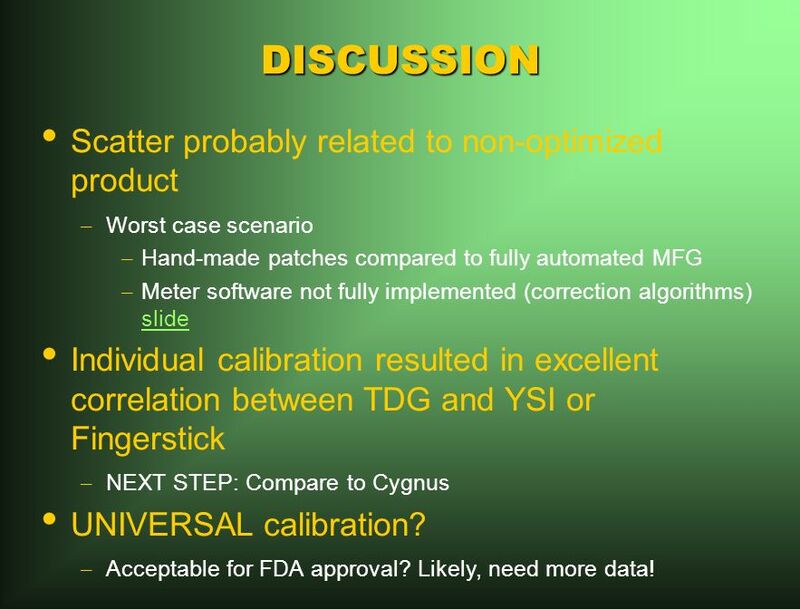 16 DISCUSSION Scatter probably related to non-optimized product – Worst case scenario – Hand-made patches compared to fully automated MFG – Meter software not fully implemented (correction algorithms) slide slide Individual calibration resulted in excellent correlation between TDG and YSI or Fingerstick – NEXT STEP: Compare to Cygnus UNIVERSAL calibration? 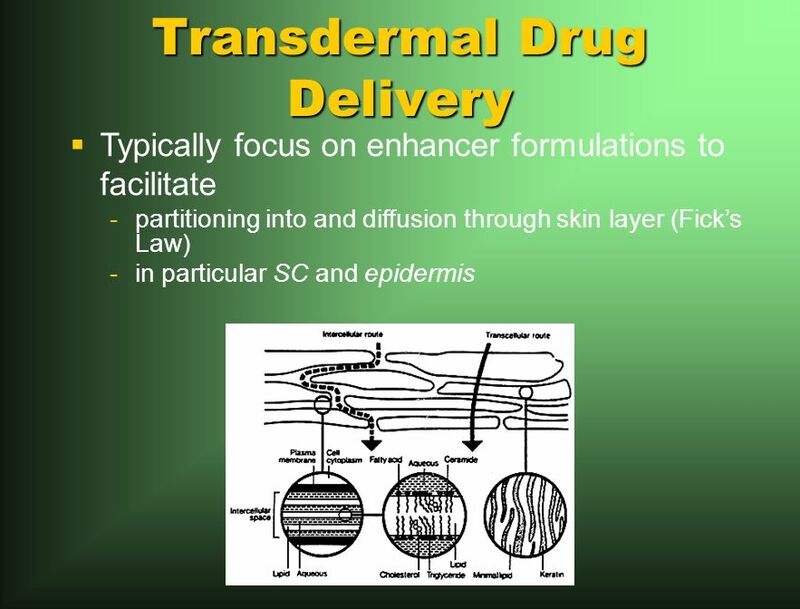 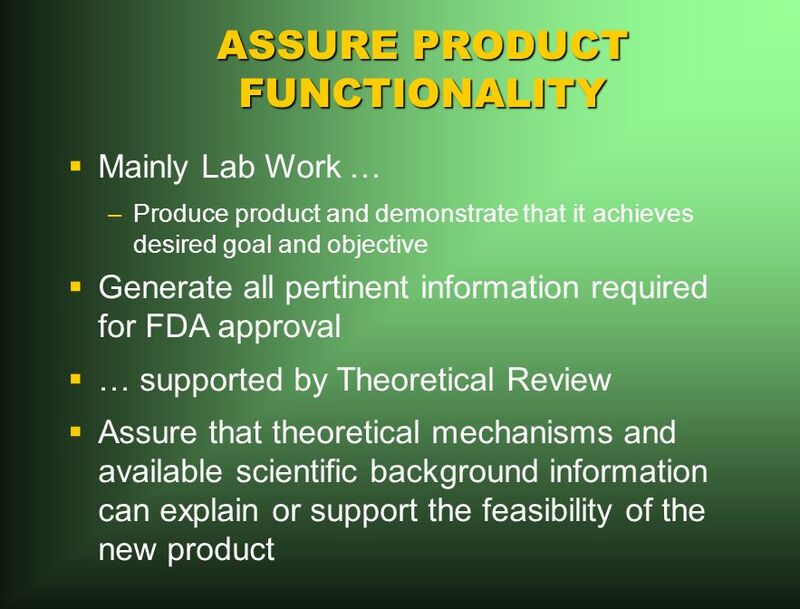 – Acceptable for FDA approval? 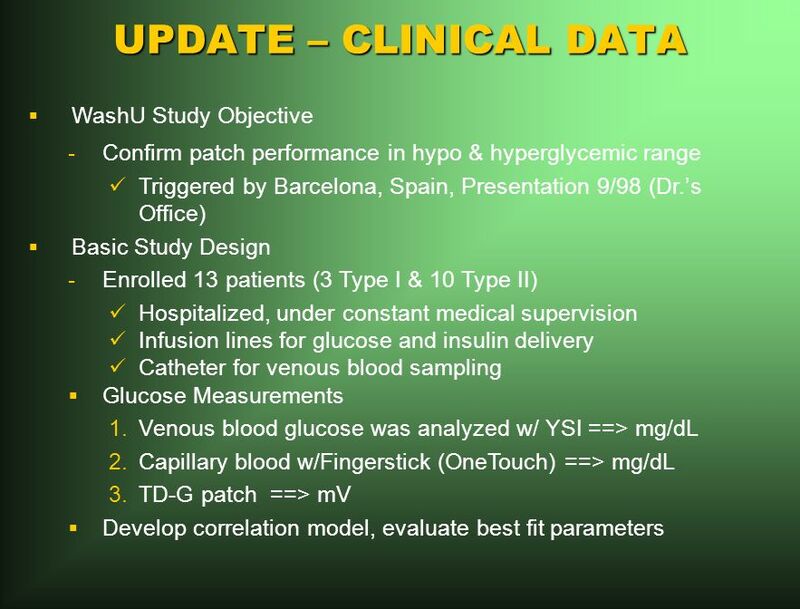 Likely, need more data! 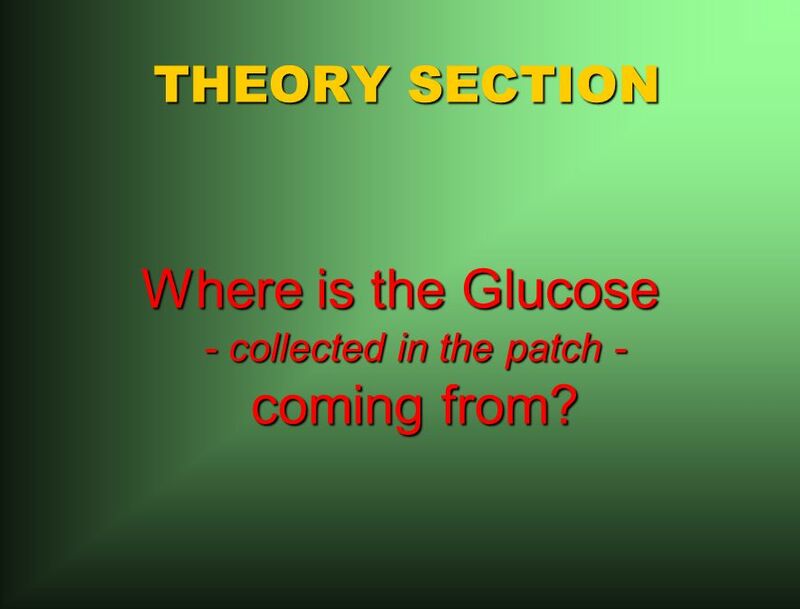 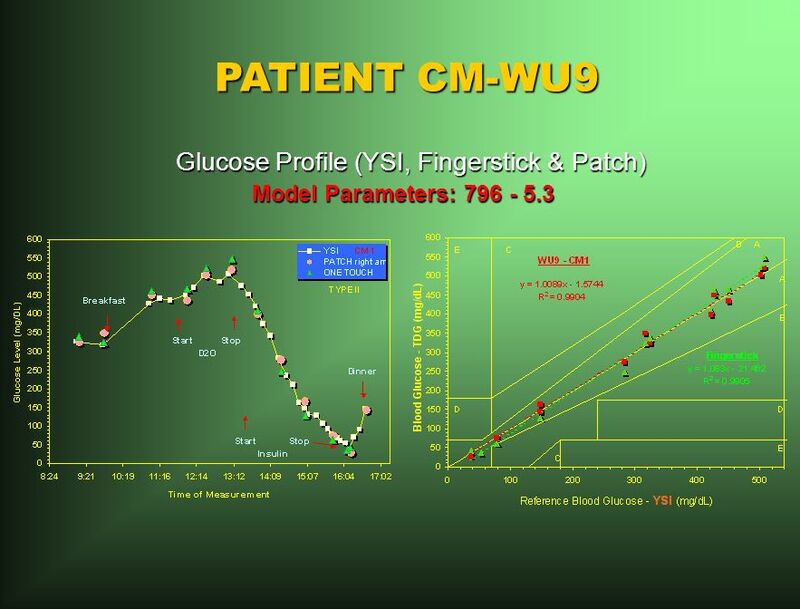 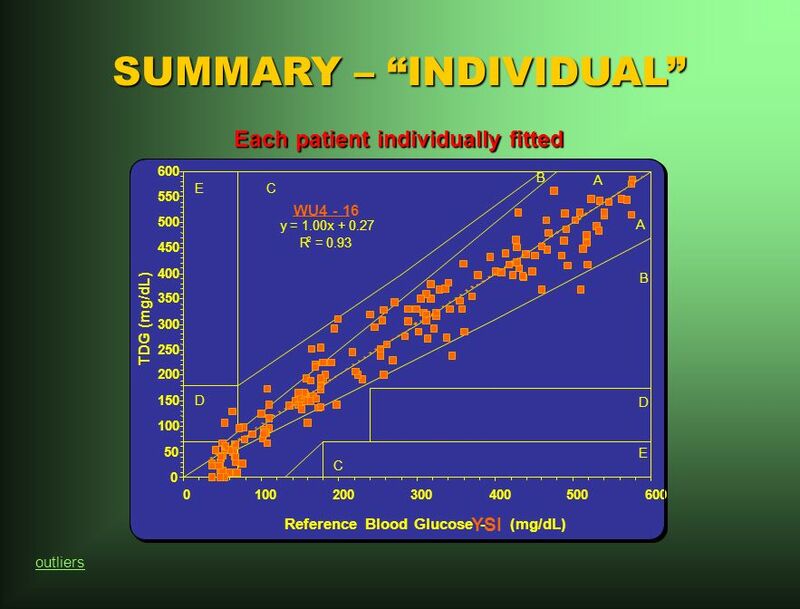 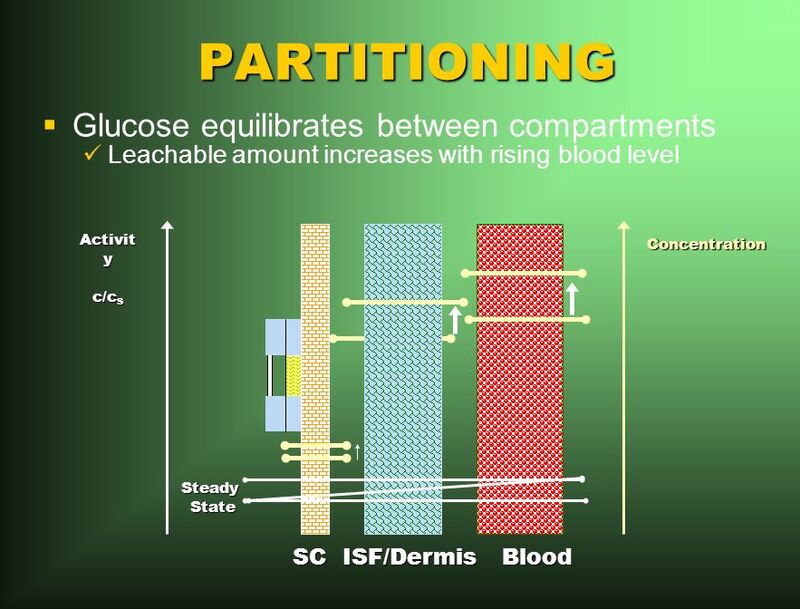 18 THEORY SECTION Where is the Glucose - collected in the patch - coming from? 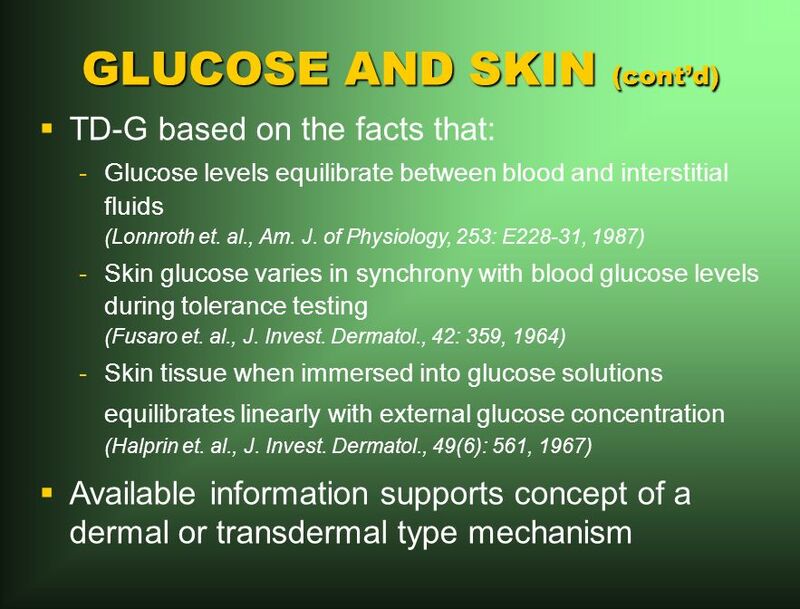 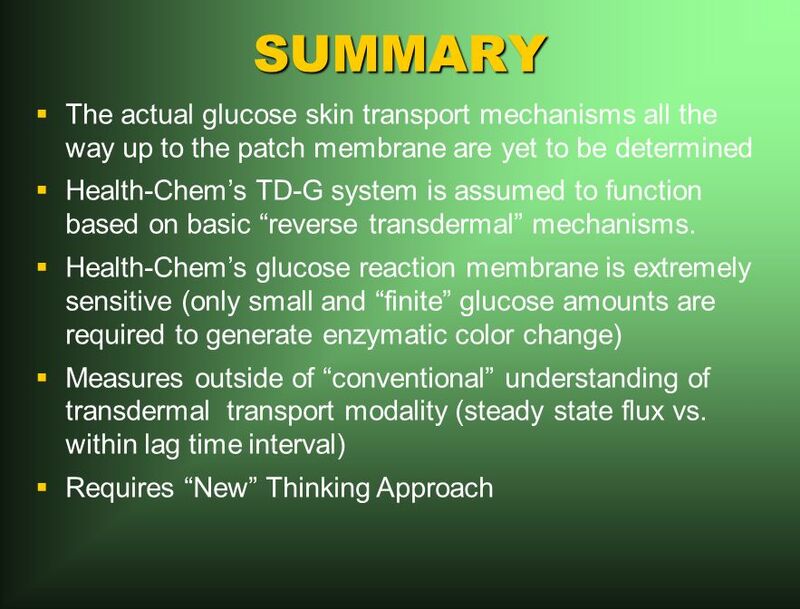 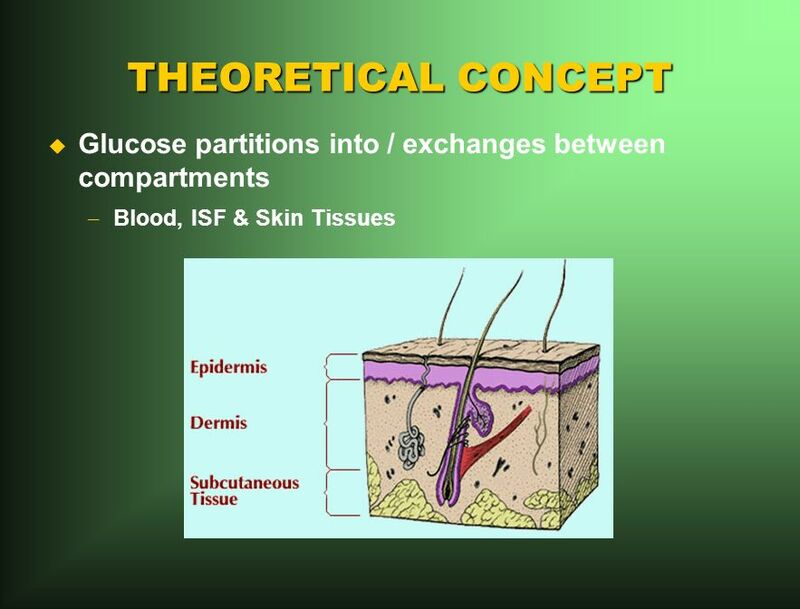 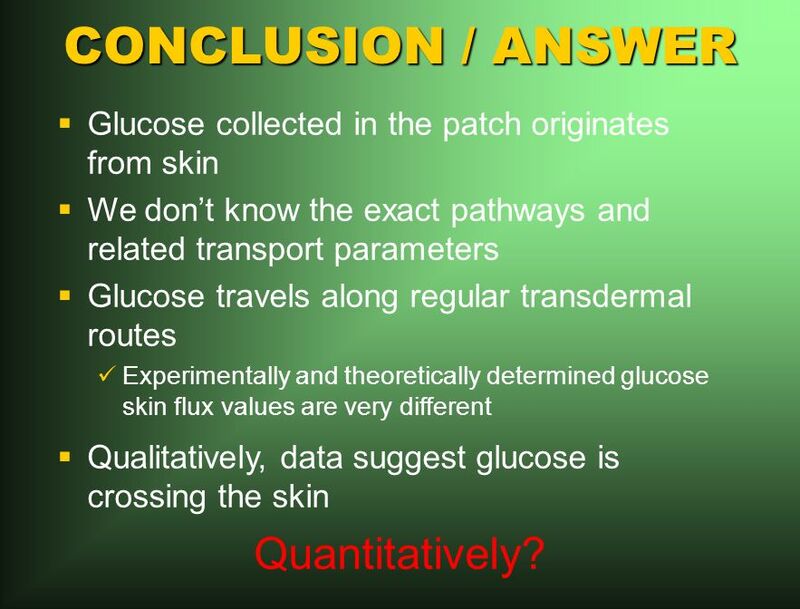 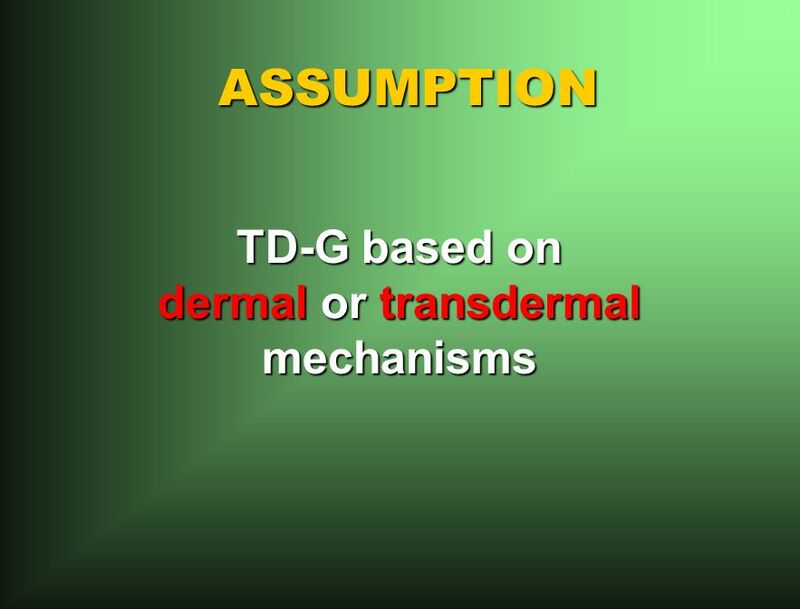 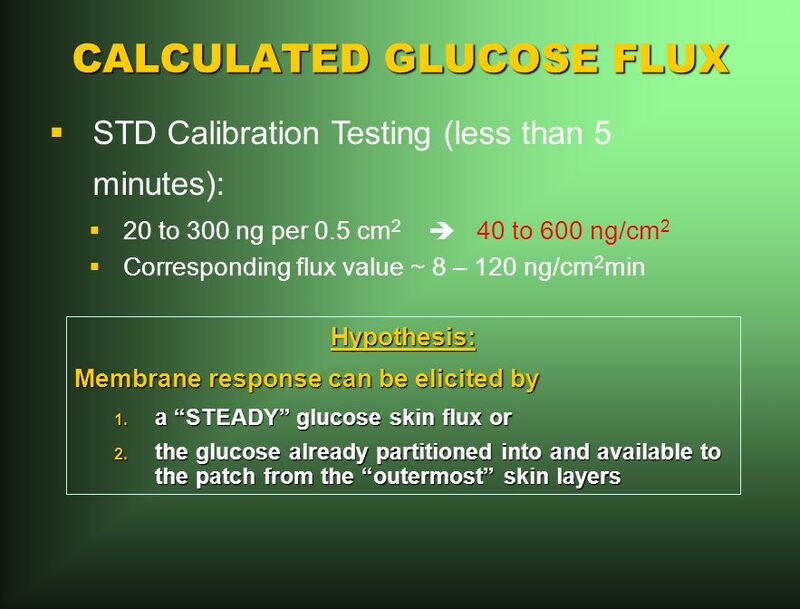 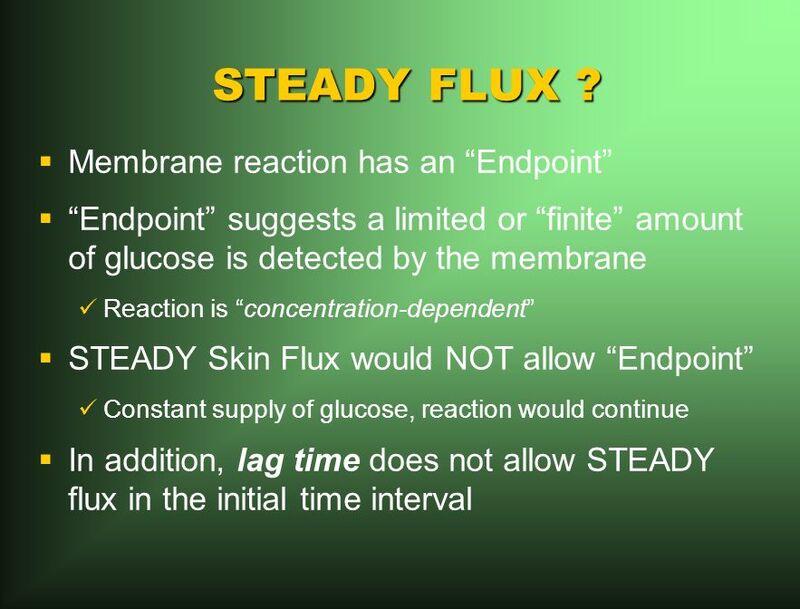 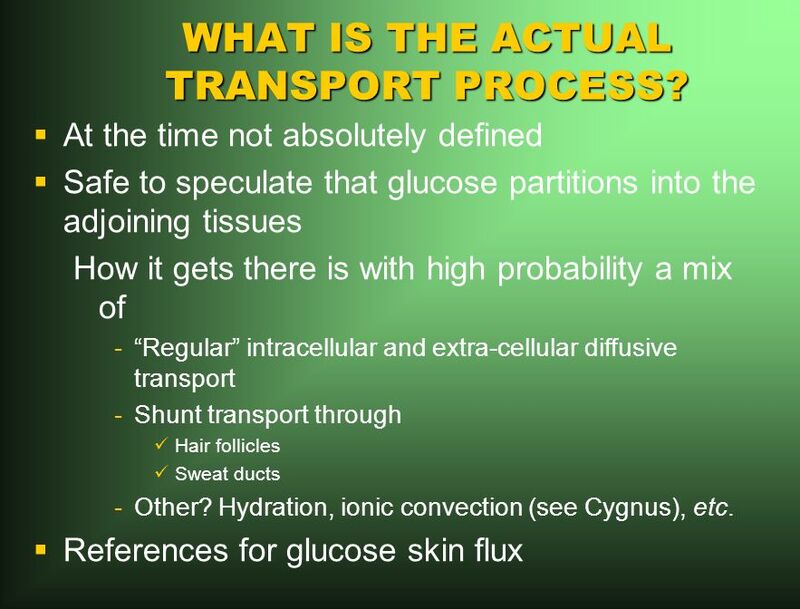 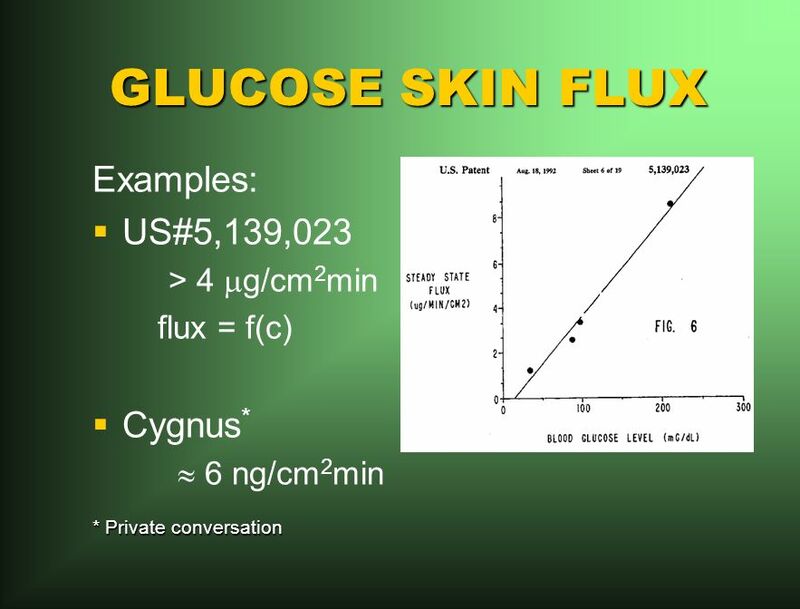 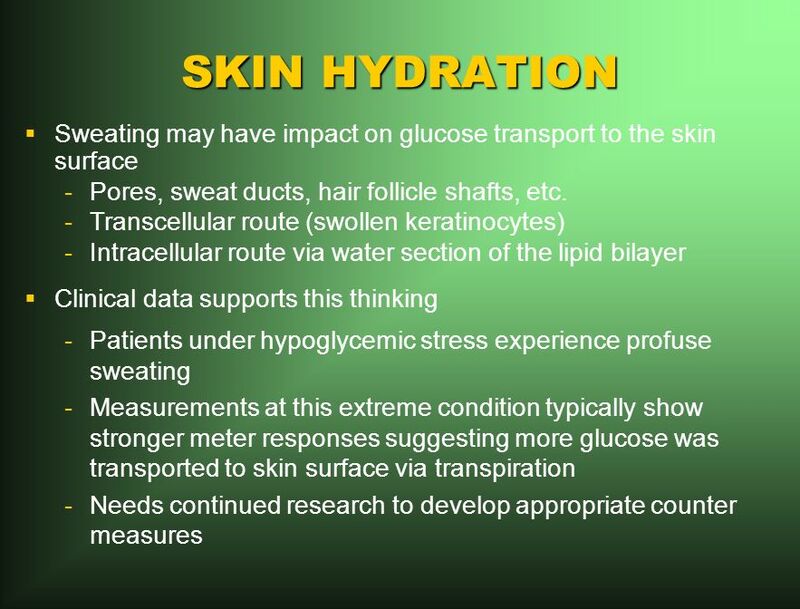 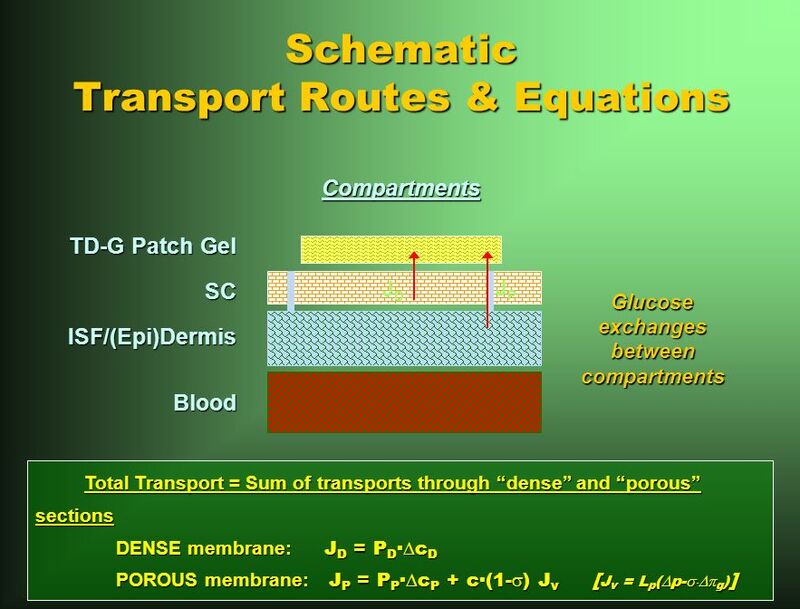 31 CONCLUSION / ANSWER Glucose collected in the patch originates from skin We dont know the exact pathways and related transport parameters Glucose travels along regular transdermal routes Experimentally and theoretically determined glucose skin flux values are very different Qualitatively, data suggest glucose is crossing the skin Quantitatively? 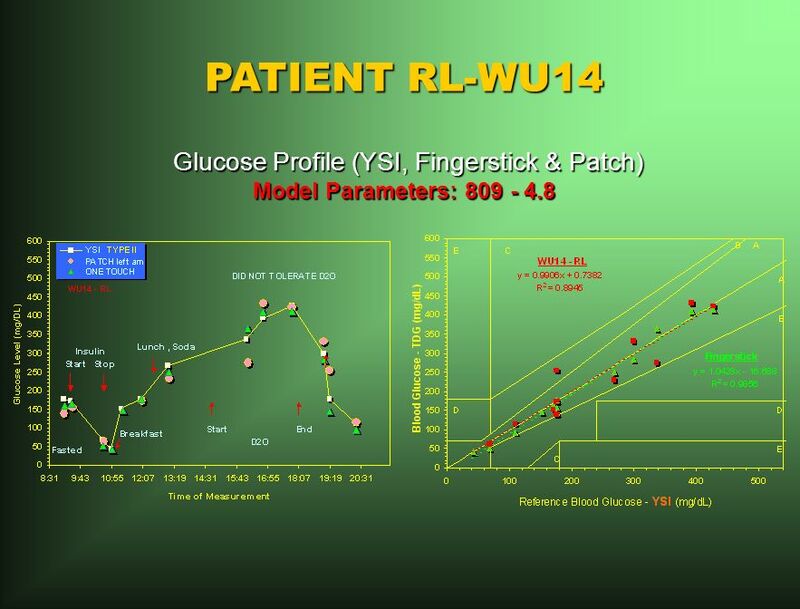 32 ADD DATA TO THEORY What and How Much is the Patch measuring? 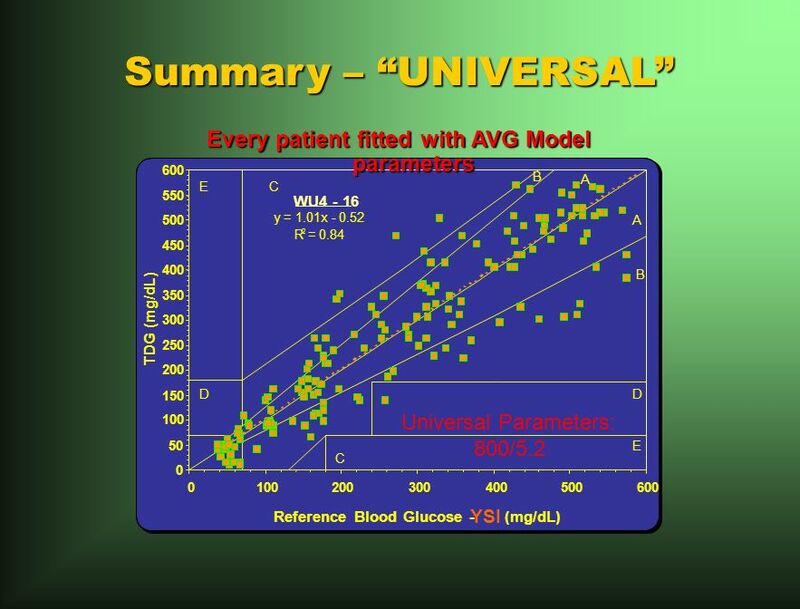 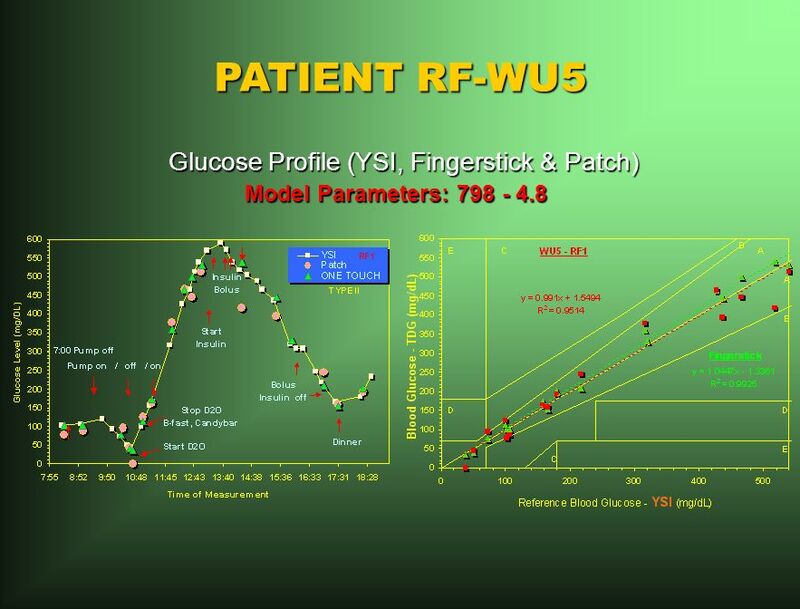 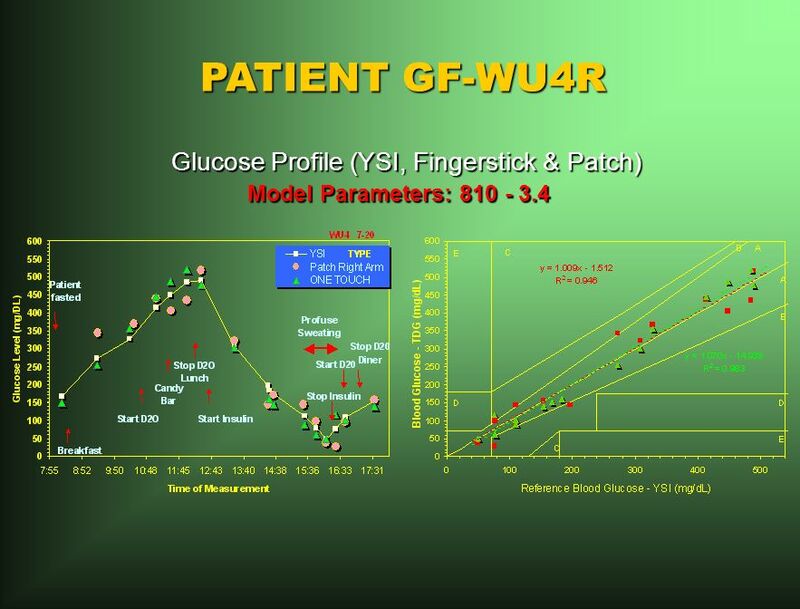 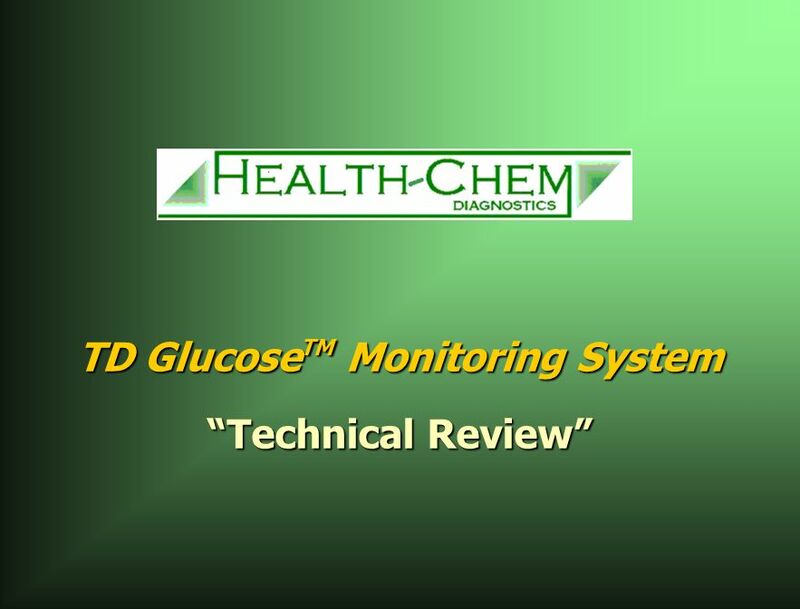 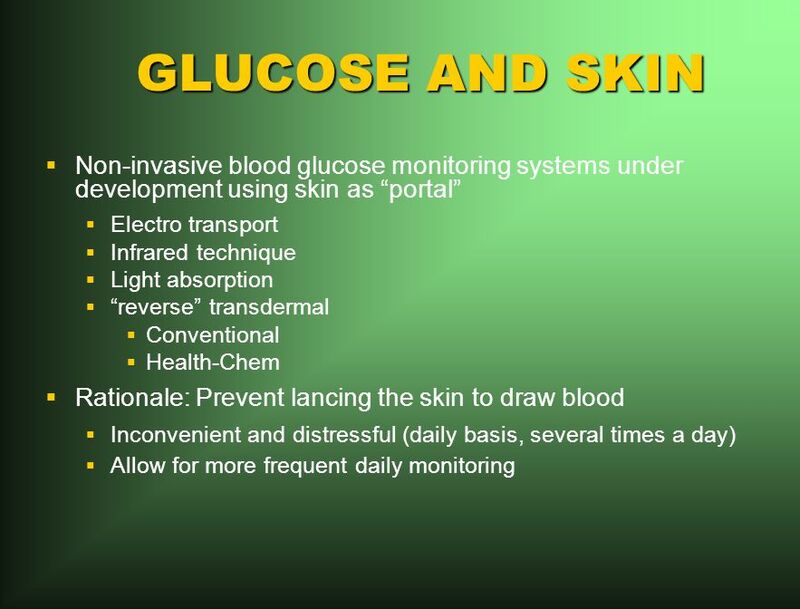 Download ppt "TD Glucose TM Monitoring System Technical Review." 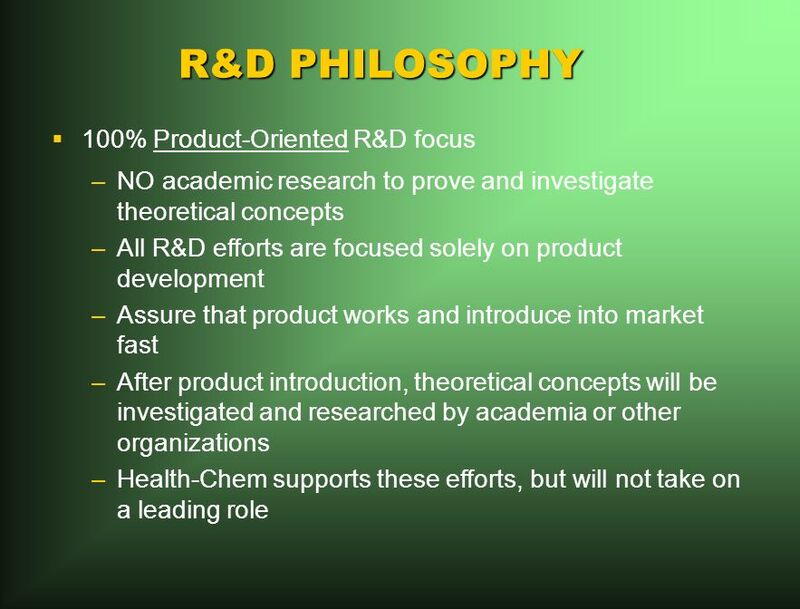 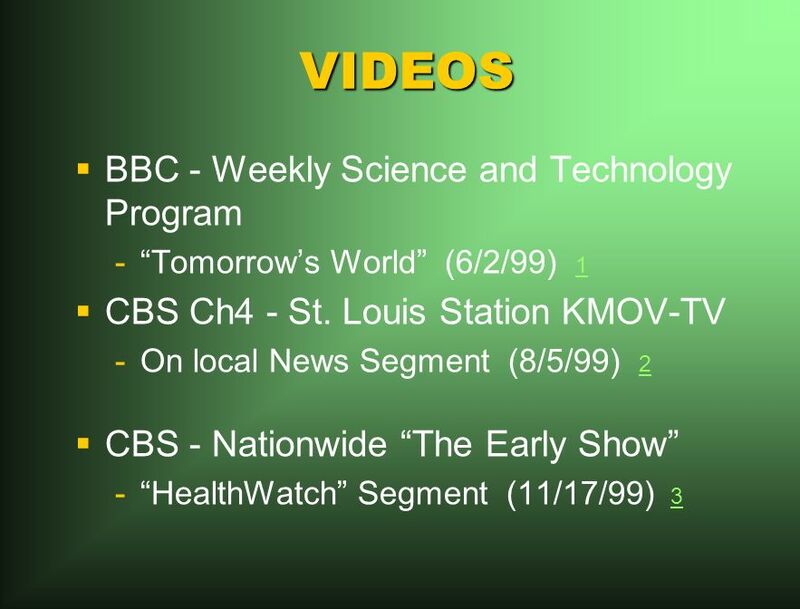 The Scientific Method By Joseph A. Castellano, Ph.D. 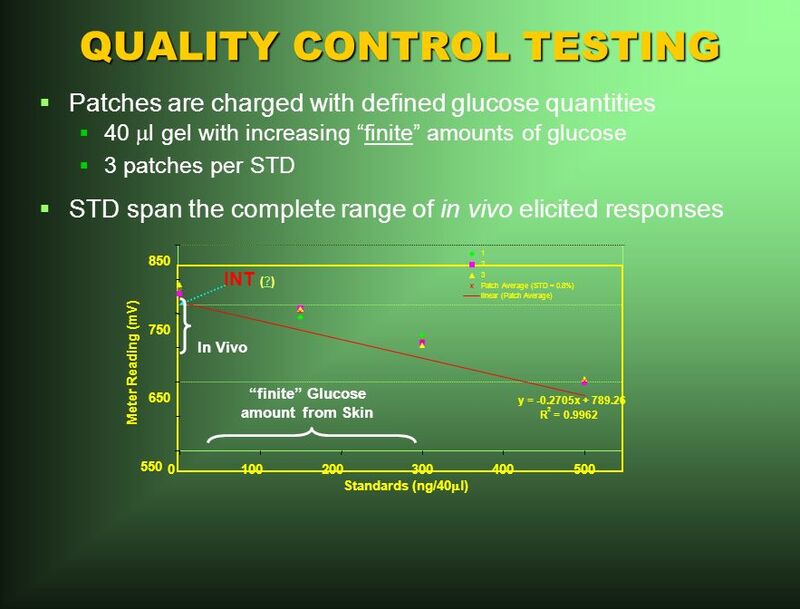 EXPERIMENTAL DESIGN Science answers questions with experiments. 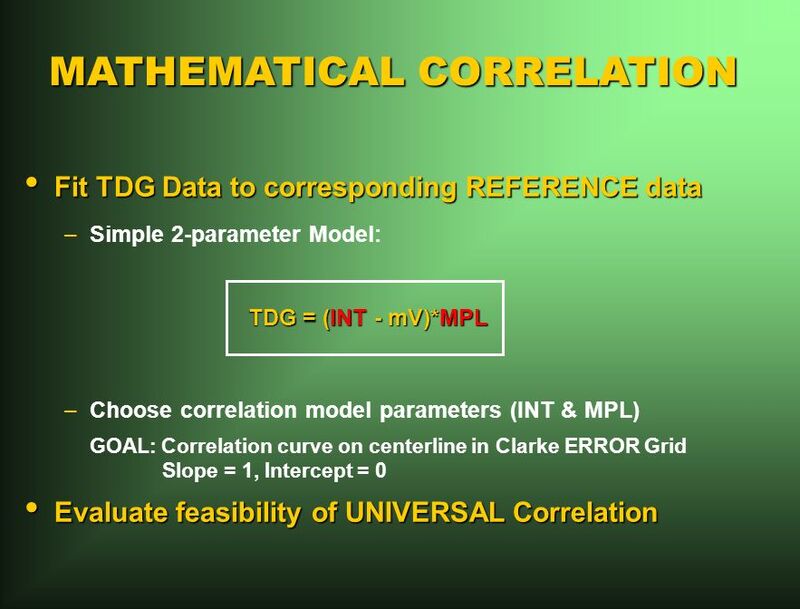 1 Estimating Your Technical Communications Project Controlling Project Results. 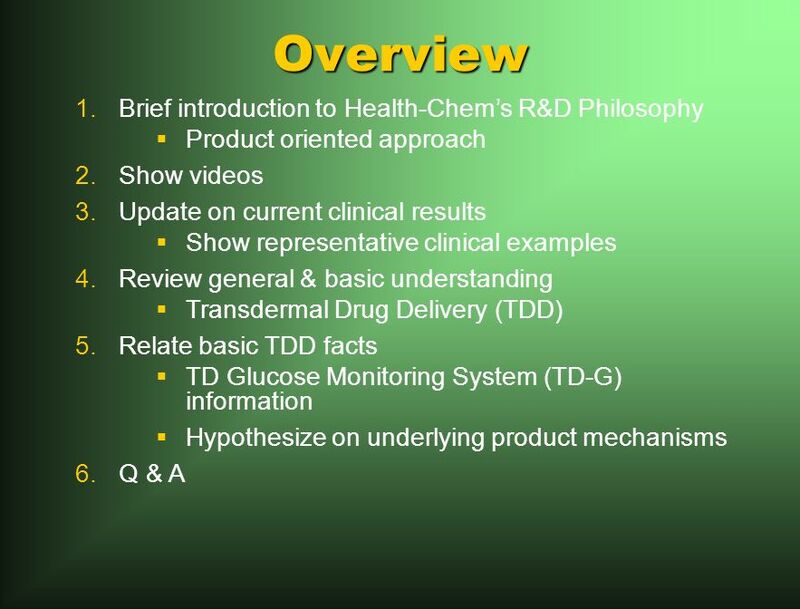 NOVEMBER 17, 2008 TELECONFERENCE PRESENTED BY DR. BETH CIPOLETTI OFFICE OF ASSESSMENT AND ACCOUNTABILITY DIVISION OF CURRICULUM AND INSTRUCTION EXPLORE. 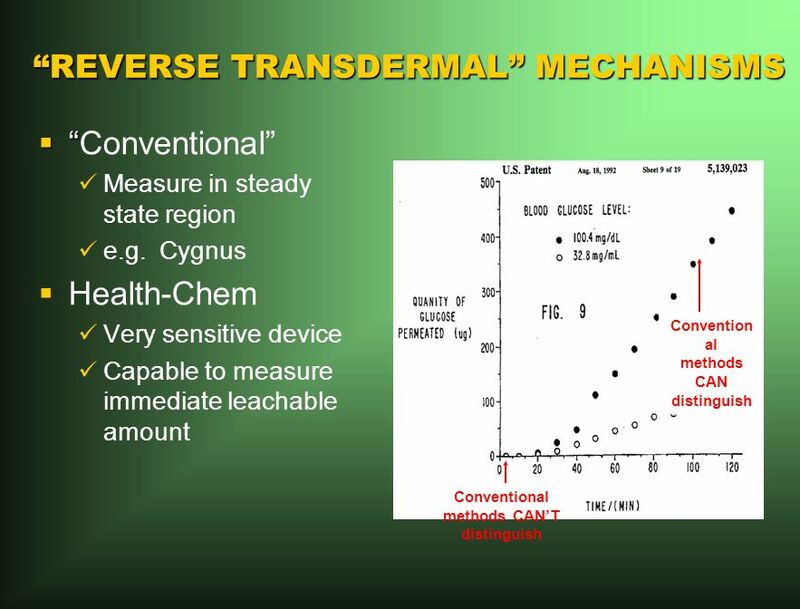 Irradiation of 300 m phi detectors from MICRON and HAMAMATSU cont. 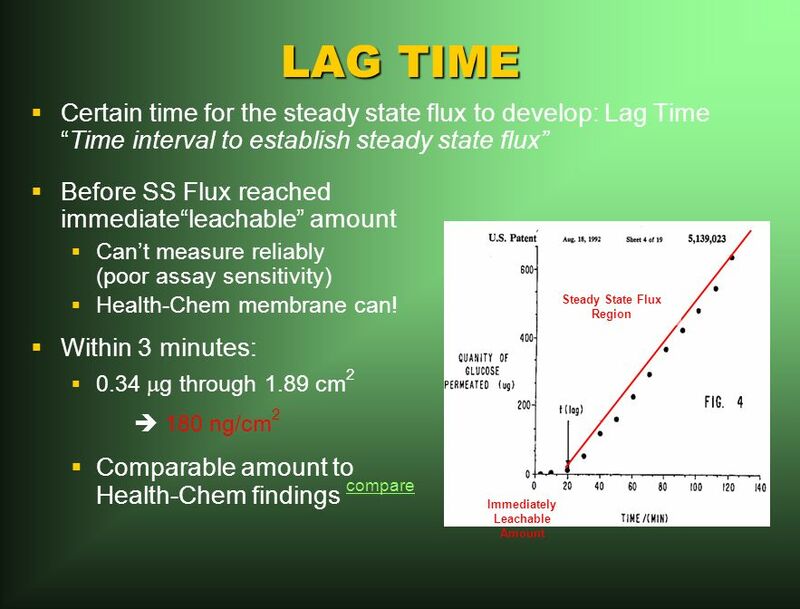 Second independent estimate: 6h 2 cycles, 12h 1 cycle, 14h no beam, 5.5h 1cycle estimated.